The project is working with universities, smallholder chicken producers, research centres, NGOs, government agencies, including the Tanzania Livestock Research Institute (TALIRI) and Sokoine University of Agriculture. ACGG plans to identify and cross-breed high producing exotic chickens with local breeds. Working closely with smallholder farmers, particularly women, ACGG partners will then test not only are highly productive chickens, but those which meet local tastes. Introducing the project at the launch in Dar es Salaam in mid-July, the project director, Tadelle Dessie, defined the role of ILRI as providing capacity-building, leadership and technical support to the partners in all three participating countries: Ethiopia, Nigeria and Tanzania. A particularly important aspect is to nurture partnerships between public and private sector stakeholders, ensuring long-term viability of the venture and support to smallholder chicken producers. Part of the viability of the project will depend on its financial sustainability, which means producing high value chicken which can be processed, marketed and sold on local markets. Involving all the actors in a participatory manner is high on the ILRI list of priorities. For Rehema Mwateba, member of the Tanzania Gender Network Programme, it is important that the project informs and involves government officials at all levels about the project. She cautions to avoid household conflicts by making sure that men are made aware of how the project will benefit them. 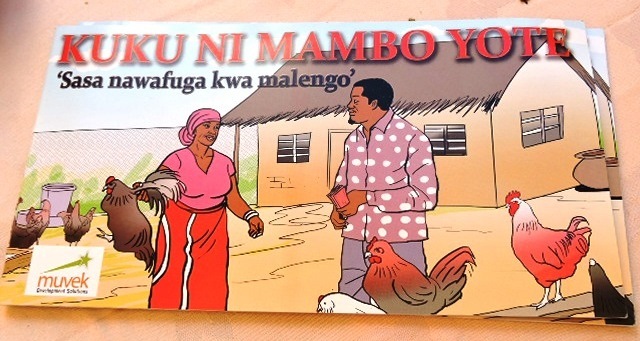 On engaging rural women, she thinks the project should consider working with women groups and use booklets with pictures and illustrations about poultry husbandry. This material, she added, should be also distributed strategically at churches and clinics, and over the radio and TV, a sentiment echoed by others who attended the launch. The event was attended by the permanent secretary in the Ministry of Livestock and Fisheries Development, Yohana Budeba, and by Donald Nkrumah, the project officer responsible for the project in the Bill & Melinda Gates Foundation. African Chicken Genetic Gains is an Africa-wide collaboration led by the International Livestock Research Institute. Part of the wider ‘LiveGene‘ initiative, ACGG tests and makes available high-producing, farmer-preferred genotypes that increase smallholder chicken productivity in Africa. For more information visit the ACGG website. Tags: gender, women. Bookmark the permalink. Local poultry famers need to be well iformed about this project through local government officials. how your project benefit your community member except individuals working on your project? What contribution your community contribute to your project? 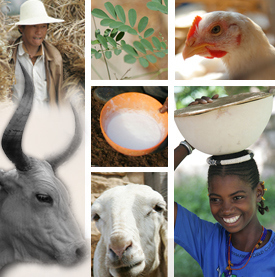 This project benefits the community in that more protein is available for consumption. African Chicken buys back 90% of the grown chickens, and prepares them for supermarkets. The remaining 10% remain with the women who raised them, to be eaten or sold as desired. I am a poultry farmer in Dar es Salaam and I’m interested in the project. Kindly put me in touch with officials in Tanzania.